Lots of celebrities and athletes turned out to watch Saturday night’s hotly anticipated fight between Floyd Mayweather Jr. and Manny Pacquiao but none looked so regal as Beyoncé in a fire engine red custom caped jumpsuit by Harbison. Beyoncé opted for a Studio 5—style cardinal red Harbison jumpsuit with a blazer, providing a dramatic cape-like effect: Overall the look was a stylish alternative to the traditional evening dress. Thinking along similar lines was Mary J. Blige, who showed a hint of skin with an asymmetric jumpsuit from Valentino with a jaunty scarf-like accent. 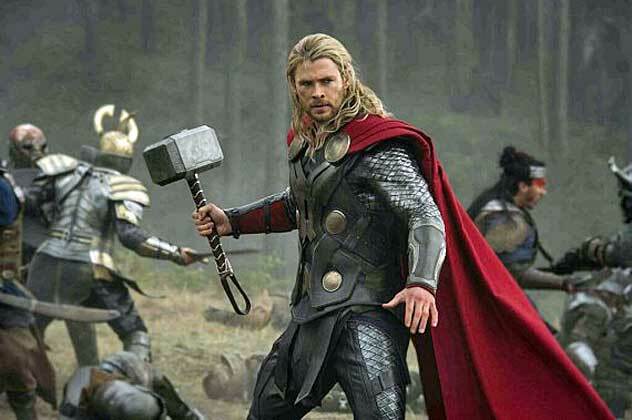 Not to knock Nicki Minaj, her fiancé Meek Mill, or an exquisitely tuxedoed Jay Z, but if you’re going to show up to the “fight of the century” on Avengers: Age of Ultron opening weekend not wearing a bright-red cape that could shame almighty Thor’s, then, well, you’re going to be upstaged by Beyoncé. Before you pipe up, yes, that is a cape and not, as you might have guessed, a coat. Mere mortals wear coats; Beyoncé and the Avengers wear capes. Straight from the mouth of designer Harbison, the outfit is described as a “custom vermillion red Trompe L’oeil Caped Jumpsuit.” If there’s anything more superheroic than a cape, it’s a bright-red jumpsuit. We’re pretty sure Scarlet Witch is jealous and she’s probably not the only one. My friend Parvez Sharma’s “A Sinner In Mecca” premiered at Toronto’s HotDocs film festival last week, where it was the hot doc. All three screenings sold out, with scores turned away. Its trailer seems to be going viral — up another 12,000 hits since just yesterday — with views from all over the world. Coming soon, we hope, to a TV or computer screen near you. I told you recently about a young man, Seth Sikes, who has appeared at the NYC nightspot 54 Below, singing the songs of Judy Garland. I was assured it wasn’t some campy evening of drag, nor did Seth attempt to “channel” Judy in any way. He just … sang. So I went off to see him last week and couldn’t have been more charmed. He’s young and handsome and enthusiastic. He doesn’t look Judy-ish (he’s blonde, for one thing) and he doesn’t try to duplicate her sound. He tells his tales of being attracted by early MGM musicals, Judy, and later overwhelmed by the lady alone onstage, at Carnegie Hall. Sikes has boundless energy and a true, strong voice, with just the right amount of throb and drive and melancholy, depending on the number. But not too much. He never, ever veers into caricature. He wrote a good deal of the beautifully melded patter and links between the songs. Meyer’s songs were good, and were well within Garland’s limited range at the time. Seth sang John’s “It’s All For You.” And it was. Sikes is expected back at Below 54 sooner rather than later. June 10, in fact — Judy Garland’s birthday. The food and drinks are good, too.